Apparently one’s career options aren’t automatically diminished down to nothing after, say, killing a homeless man while on patrol as an officer of the law. 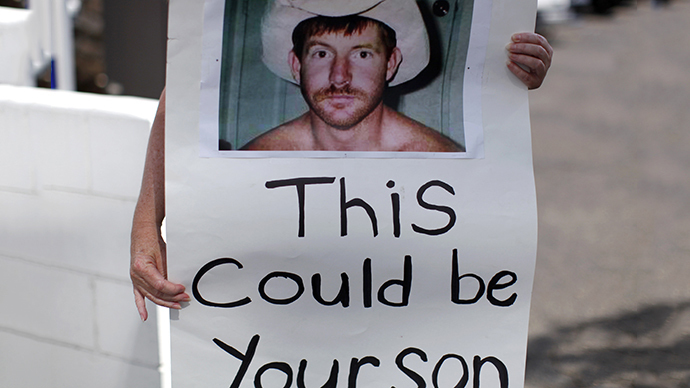 One of the cops acquitted of murdering Kelly Thomas is reportedly coaching little league baseball. Thomas — a 37-year-old schizophrenic, homeless man from Southern California — sadly made headlines back in July 2011 after he was beaten into a coma by officers from the Fullerton Police Department and died several days later. 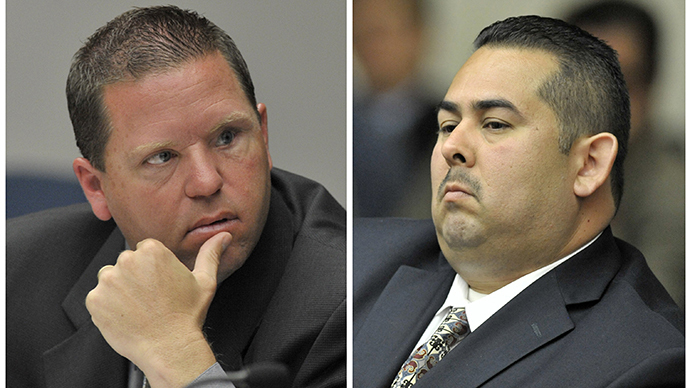 Manuel Ramos and Jay Cicinelli were ultimately charged with killing Thomas, but earlier this year a jury acquitted both former cops on all counts, which ranged from second-degree murder to involuntary manslaughter. The United States Department of Justice has since confirmed that the Federal Bureau of Investigation may decide to file charges pending the result of its own civil rights probe, and both officers remain off the force since being ejected while awaiting trial. 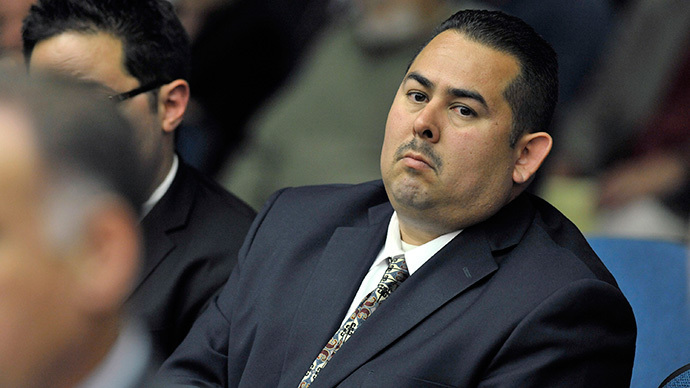 But while Cicinelli, a former corporal for the Fullerton PD, has been arguing that he should be reinstated since being acquitted, his ex-colleague and co-defendant has reportedly already wound up with a rather peculiar side gig until he settles on something else. Ramos was spotted coaching little league baseball earlier this week in Fullerton, according to Orange County Weekly reporter Gabriel San Roman, at a park only a stone’s throw from his former office at the Fullerton police Department. “The lights shone brightly at Duane Winters Field in Fullerton's Amerige Park earlier this week for a PONY League baseball game. Youngsters stepped up to the plate as the sound of aluminum bats thwacking baseballs rounded out what otherwise was a normal night of America's pastime...save for the killer cop in the dugout,” San Roman wrote for his OC Weekly blog on Thursday this week. “There stood Manuel Ramos, coaching kids in the fine art of swinging a baton at a defenseless homeless man...sorry, swinging a bat at a defenseless homeless man...sorry, coaching kids,” he said. 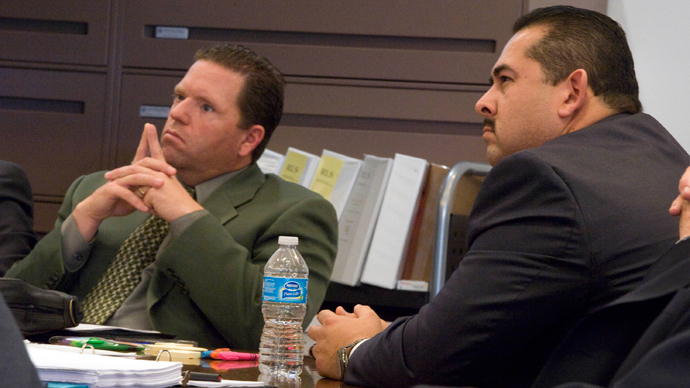 In the “Justice 4 Kelly Thomas” Facebook group, people who followed the case against Ramos and Cicinelli closely responded with disbelief when a link to San Roman’s article was shared. “I bet the referees are not going to call strikes or someone out for fear of being beaten to death,” remarked another. Ron Thomas, the father of the deceased, advised members of the group to contact little league officials and “Let them know what you think.” Several social network users said they had contacted the league’s president, either by phone or email, but San Roman said his efforts to reach Fullerton PONY President Mike Silva personally for comment were still unsuccessful as of Friday afternoon. But according to Thomas, Ramos isn’t alone: Cicinelli is also coaching little league baseball elsewhere in Fullerton at the moment, he said, and others outraged by that decision should demand he be removed as well. Coincidentally, demonstrations are planed across the planet on Saturday in order to commemorate an International Day Against Police Brutality. 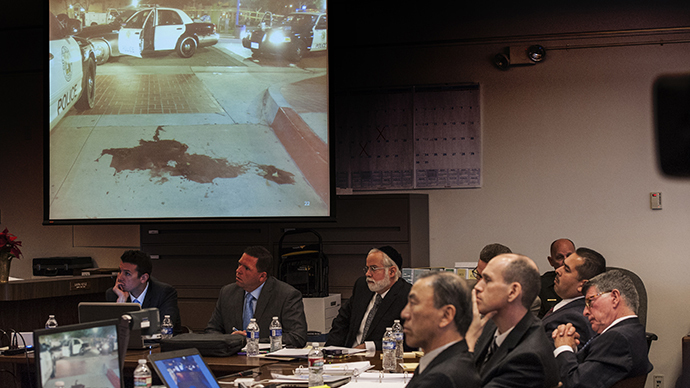 In Fullerton, more than 150 people said on Facebook that they intend on meeting at the location of the 2011 Thomas beating that morning before marching to police headquarters.